From Algonquin Indian folklore comes a powerful, haunting rendition of Cinderella. In a village by the shores of Lake Ontario lived an invisible being. All the young women wanted to marry him because he was rich, powerful, and supposedly very handsome. But to marry the invisible being the women had to prove to his sister that they had seen him. And none had been able to get past the sister's stern, all-knowing gaze. Then came the Rough-Face girl, scarred from working by the fire. Could she succeed where her beautiful, cruel sisters had failed? 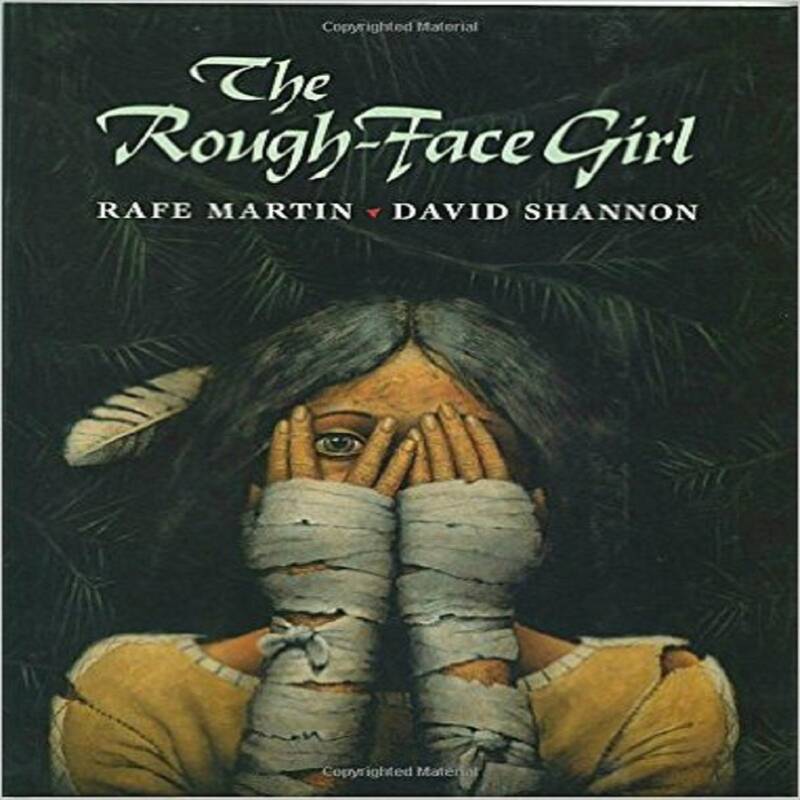 Rafe Martin is an internationally known, award-winning author and storyteller. His books and tapes have received national and regional acclaim, including: ALA Notable Children's Book distinction, Parent's Choice Gold Awards, the Anne Izard Storytellers Choice Award, and Honor Book for the 1994 Texas Bluebonnet Award. His work as a storyteller has been cited by the Women's National Book Association, which presented him with the Lucille Micheels Pannell Award for his "unique creativity and effectiveness in bringing children and books together." As a noted storyteller and speaker, Rafe Martin has been featured at many prestigious events and institutions such as the National Storytelling Festival, the American Booksellers Association National Convention, the American Library Association Annual Conference, the Whole Language Umbrella Annual Conference, the National Council of Teachers of English Annual Conference, the American Museum of Natural History, the Vassar College Summer Institute on Children's Book Publishing, to name just a few; as well as countless schools, libraries, whole language, TESOL, and reading association events around the United States and as far away as Japan. Rafe Martin is dedicated to creating literature that empowers children's imaginations. Drawing on the world's tradition of tales, as well as a growing number of his original stories, he seeks to pass on the storyteller's primary gifts: faith in the creative imagination and in the power of wish and dream; awareness of the interrelation of all living things; respect for the vision of the earth's many cultures; and delight in the mysteries of language--mere sounds on the air, or squiggles on paper--which allow us to use our own minds to see. Language and stories, he feels, are not only our oldest technologies but our most precious resources. How can T.V. begin to compare! Great book,great price,really like this book,and got here fast. Thanks.